Current Obsessions: New Year, New Obsessions, Who ‘Dis? While January is renowned for turning over a new leaf and making resolutions, it can also be a dreary month filled with post-holiday blues and gross, cold weather. Our team is fully-embracing this month by making positive changes and choosing to be grateful for all we have. And of course, talking about our current obsessions. Many of us are enjoying gifts we received over the holidays, and some of us are using this month’s current obsession to tackle new intentions this year. Keep reading to check out what our team is obsessing over as we move into 2019.
every single day for work, and I’ve honed an excellent system for organizing myself, particularly for work. I’ve decided that my 2019 resolution is to put this system to the test in my personal life, particularly tackling financial and wellness goals. 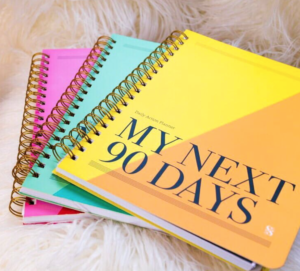 I purchased the Savor Life 90 Day Planner to track these goals. I love that this planner breaks up the year into 9-day quarters. I think it’s essential to track short-term goals to reach long-term ones, and this planner allows so much space for that. Plus, it’s beautiful and very well-made. Cheers to goals setting this year! As you saw from my recent blog post, 2019 is the year I want to love well through intentional time. And, of course that includes the time I spend with my two boys, Dixon and Thackston. Follow our adventures at #DudesAndDoll. 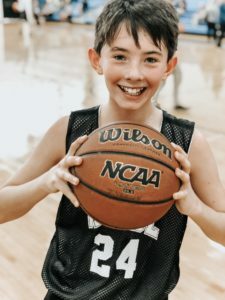 When we were all sharing what our January current obsessions were going to be, I immediately knew that watching those two boys on the basketball court is mine. 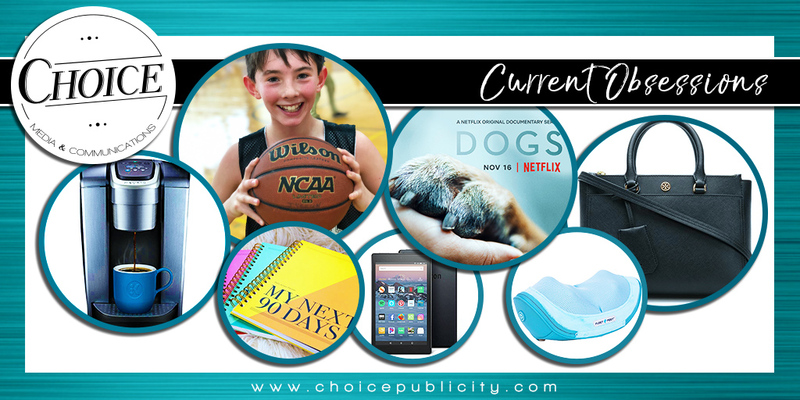 Our beloved client Jen Hatmaker asks every podcast guest a final question as she wraps up their interview: “What is saving your life right now?” At the close of 2018, I remember thinking that baseball with my boys was that for me last year. 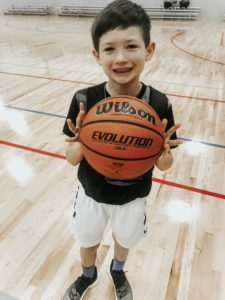 Sports have this way of developing deep connections – among teammates, with the spectators, between coach and player, with the families you spend so much time. And to me there’s been nothing more powerful than watching my children learn, struggle, persevere, and rise to the occasion. Navigating all the emotions of losses and wins, strong moments and hard lessons learned, it’s all part of parenting them. And, right now, from the gym stands, Matt and I are loving the season we’re in. I’m trying to really be present in those moments and soak up the goodness that is the stage of life, even if there are 814 practices and games a week! As funny as it sounds, coffee makes up a large part of my life. From shuffling to the coffee maker following my son’s early morning wake up call to working in coffee shops several times a week, it seems coffee is a part of my DNA. Imagine my horror, then, when my beloved Keurig suddenly called it quits two days before Christmas. In true Mark Murphy fashion, my husband jumped in the car to find a replacement (if not only for the sole reason he wanted me to be a normal functioning human being for the the holidays). As someone who hasn’t been on the market for a Keurig in five years, the new contraption he came home with blew me away. The brushed silver looks amazing on my counter, the water reservoir allows you to brew 8 cups (8 cups!) before having to refill, and the hot water button has already been helpful when making my breakfast oatmeal. Most importantly, however, I was ecstatic to see there is an ICED COFFEE feature, which I absolutely love for my mocha protein shakes. 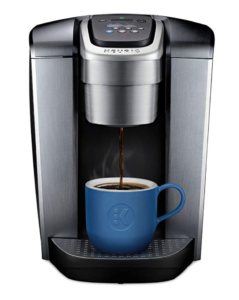 This newer, sleeker Keurig has quickly become my latest current obsession. Happy brewing to you in 2019! Dogs have always played a special role in my life. If you know me, you know I have a Goldendoodle named Wagner and you probably learned this before learning my last name. He’s the best and one day he’ll be my current obsession and I’ll tell you all about him! My first true love was my childhood pup. My parents took me to a flea market when I was 7 and let me pick out a puppy from a litter of Golden Retrievers. I picked the biggest pup and named him Kodi (pronounced Cody). Kodi and I were the best of friends and just thinking about him now gives me all the feels. Kodi was with me when I had a tough day at school, when my first boyfriend broke my heart, and I mainly came home from college to see him! 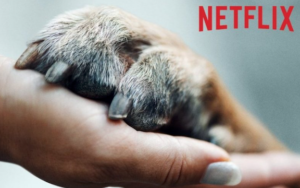 Netflix’s documentary “Dogs” celebrates this special bond between people and their furry companions and it’s magnificent! What I loved most about this serious is how each episode highlights how dogs can help people overcome challenges within their own life. My personal favorite episode was episode one, not just because it highlighted my beloved goldens, but because it showed how dogs are trained to help kids struggling with a range of medical issues. I cried like a baby when the mother of a child receiving a service dog said, “my child will not be the kid with the disability at school, she’ll be the kids with the dog.” Get your tissues ready and pop on “Dogs” for a feel-good cry – I promise you’ll leave the series uplifted and feeling good about the world! One of my favorite things in the world, and biggest passions, is fitness. I love to work out and be active because I love the competitive nature of it. However, I can often push myself a little too hard and that has led to a few too many injuries. I am always looking for ways to relieve my soreness and muscle aches. That is why my current obsession for January is my favorite christmas present! My mom knows me well, and after asking her to give me far too many back massages, she gave me the most wonderful Addaday Magic Massager for Christmas. 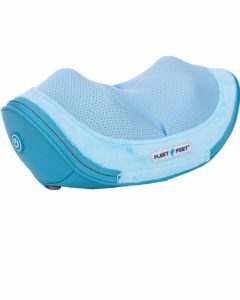 This massager is a game changer! It has 8 kneading nodules that rotate in two directions and you can use it on your neck, back and legs. If you are constantly having aches and pains, this is something I highly recommend that I use daily! A good practical bag that can transition from work to social life is something I have been on the hunt for. Lately I have been hinting at wanting to add a new black bag to my professional attire and Santa (aka the most amazing godparents ever) heard me loud and clear this year! 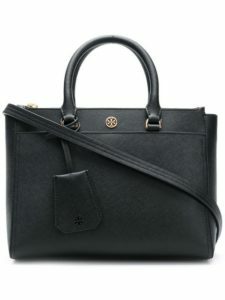 My current obsession would definitely have to be my new Tory Burch Robinson Double Zip Tote. I have always struggled with only either having large totes or small handbags and this purse is the perfect size in between and is SO versatile. It has the capability to carry my iPad and notes for work meetings but has been my go-to since Christmas on day to day errands and social outings. So if you’ve been thinking of adding a new accessory to your life that will be used daily and get you endless compliments I highly recommend this bag! 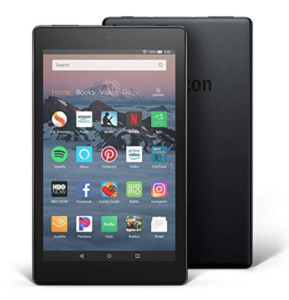 My current obsession is my Kindle! It always manages to find its way back to me beneath the pile of stuff around this time of year. That reading bug hits me, and I can’t find my precious Kindle fast enough! I love that I have thousands of books at my fingertips without leaving the comfort of my own home – and let’s face it, it’s too cold and dreary to get out right now! I love filling my Kindle wish list with all sorts of recommendations or books that look interesting and when I’m in a reading slump, I just start there for my next read. My two recent favorite reads this month: The Great Alone by Kristin Hannah and Before We Were Yours by Lisa Wingate – you won’t be disappointed! What are you loving this month? Tell us at #ChoiceCurrentObessions.